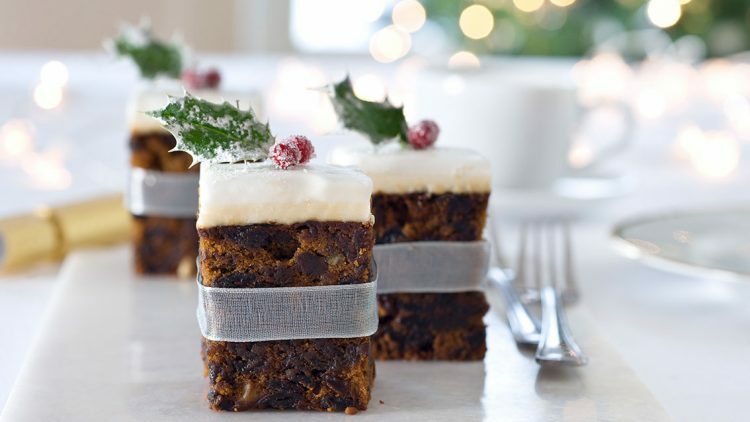 The perfect Christmas cake, well this is a hard one! Why? because everyone’s Christmas is different, some people have recipes that have been in their family for generations. But this recipe has to be my favourite. 1. Put the dried fruit and peel in a bowl along with the whisky, cover and leave to soak overnight. Stir well before use. Grease and line a 20cm cake tin with 2 layers of baking parchment. 2. Preheat the oven to 140C. Cream together the butter and sugar until light and fluffy, then gradually add the eggs, beating well after each addition so the mixture doesnʼt curdle. 3. Mix together the sifted flour, baking powder, spice, ground almonds and a pinch of salt and then fold this into the butter and sugar mixture. Add the soaked fruits, and any remaining whisky, the lemon zest, chopped almonds and ginger, and stir to combine. 4. Tip the mixture into your prepared tin. 5. Put the cake in the oven for about an hour, then cover with foil, and bake for another 30 minutes and then check the cake. If itʼs done a skewer inserted into the middle of the cake will come out clean. If not return to the oven and cook for a further 10 minutes and repeat if needed until it is cooked . 6. Leave to cool in the tin then use the skewer to poke a few holes in to the cake, and brush them with more whisky.